Free Steam keys: Win a copy of gnarly arcade surfing game Surf World Series! Skateboarding games have had their time in the spotlight. Step down, Tony Hawk. Perhaps it is time now for a new board sport to take over videogames. How about surfing? Yeah, c’mon, what’s wrong with surfing? Developers Climax Studios are looking to make surfing popular in games with their new release, Surf World Series. 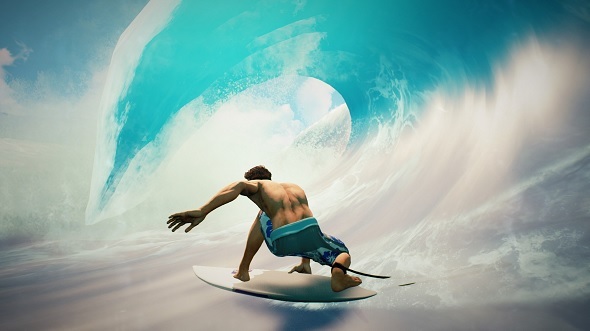 It’s an arcade surfing game – rather than a simulator – that aims to deliver all the spectacle and adrenaline of riding a cresting wave just right. It gives you five of the most famous surfing locations in the world to practice pulling off your tricks – including the Superman and Sushi Roll. It also has six different surfers for you to choose from, and it lets you customise your own surfboard, so make sure you create the gnarliest one out there, dudes. If going up against the 15 surfers in the single-player isn’t enough then Surf World Series also has three online modes for you to show off in:Big Heat Battle, Championship, and Survival. Sounds decent, right? Well, we’re giving away 25 Steam keys for Surf World Series right here. You can put your name into the pot by entering via the widget below.Every action you complete is worth one entry into the giveaway, and the more actions you complete the more chance you’ll have of winning.We’ll also need your email address so we can send you a code upon winning – we won’t send you spam, we promise.